Hijacked By Twins: My Christmas 2014 Must Have Gifts! The festive time of year is upon us as is the biggest shopping time of the year! It can be hard knowing what presents to buy for everyone. That is why I have decided to write my Christmas 2014 must have list of gifts! 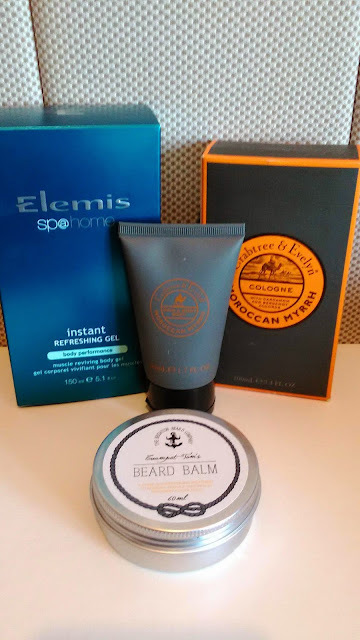 The items are a mixture of items that we have been sent to review and items which I just love! Like many small girls Isabella loves dolls. She is now at the stage where she is wanting to play more make believe games with dolls and teddies. When I was sent the Lalaloopsy Tinies Castle I knew that it would be a toy which she would love. The dolls castle is the perfect size for little hands to carry around and take to play with when on journeys. 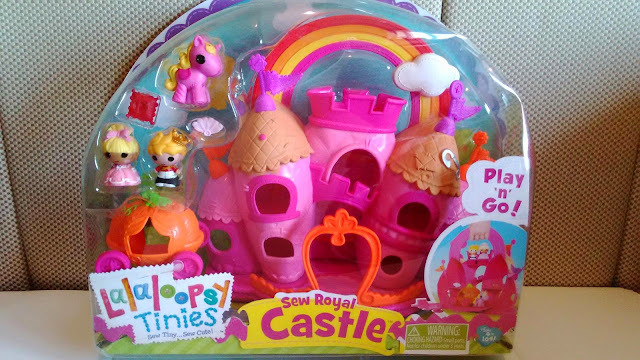 The castle comes complete with 2 Lalaloopsy Tinies dolls, a pony, a carriage, a pillow and a fan. As they are the tinies range I would not recommended for children under 3. Priced at just £19.99 this will make a great gift! For more information visit Lalaloopsy. Like many homes worldwide our children have gone Frozen mad! 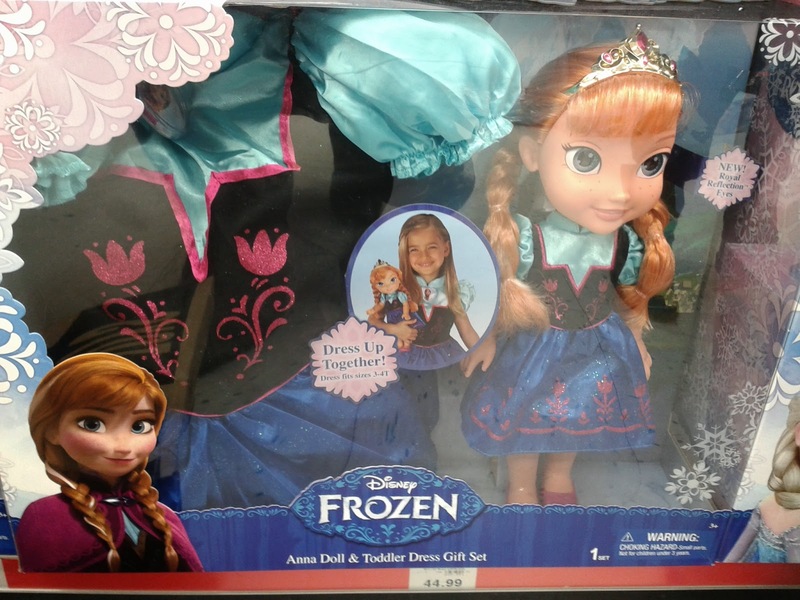 When I saw that you could buy a Frozen doll complete with dressing up outfit I knew that Isabella would love it! All little girls want to be princesses and this has to be a must have for Christmas! Priced at £44.99 it is a high price at this time of year but is definitely worth the money! 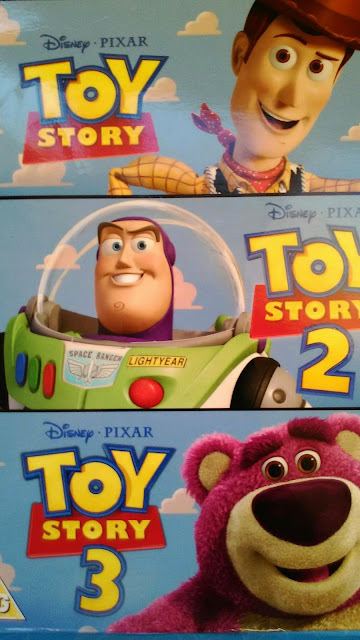 Even though the film has been out a few years, Toy Story still remains popular. Toys range from Woody Dolls to Buzz Lightyear Figures. They really are toys and characters that will stand the test of time! This is another high priced toy at £49.99 however I am sure that any Toy Story fan will get hours of fun! This was a toy that we were sent to review and Taylor has had hours of fun with the motion sensor Thomas. This is definitely a toy that he will continue to play. This is priced at £39.99 which is a good price as it will be a toy that your child will continue to play with as they develop. This is the latest Skylanders game to hit the shops. After releasing four games their popularity has not dropped. Joseph has for the last four years wanted Skylanders for Christmas and I am sure that many more children will be waiting to unwrap a starter kit on Christmas morning! Skylanders Trap Team starter kits are priced at £48.89 which is high but this game will provide so much entertainment! You can read more about what we thought in my Skylanders post. 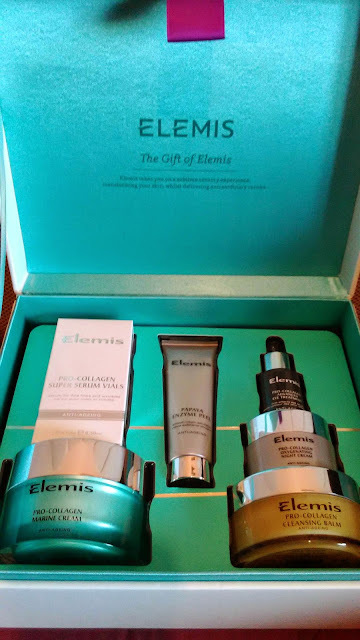 I love Elemis and I am sure that there are many women who would love to find a luxurious box of Elemis treats under the tree! Elemis products are expensive, but they are luxury products that are well and truly worth the money! 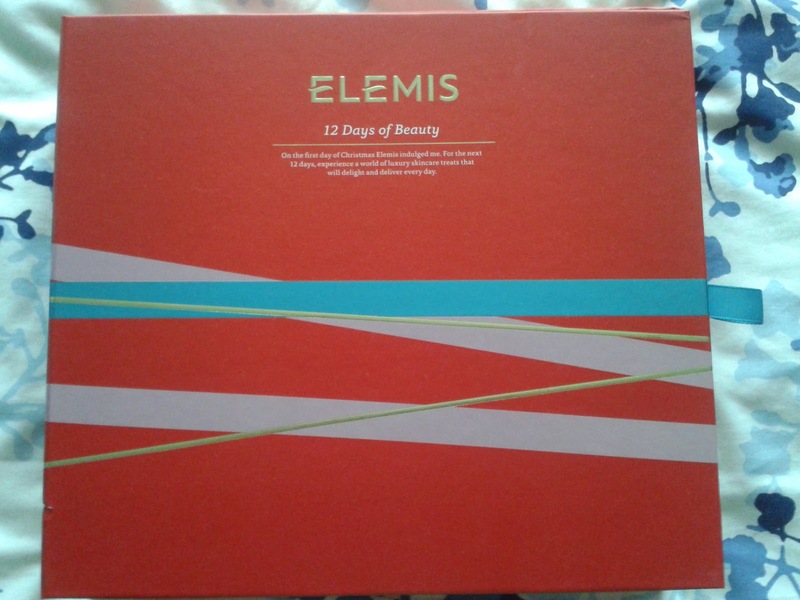 My favourites this year are the 12 Days of Beauty gift box and their Ultimate Pro Collagen gift box. Visit Time To Spa to see these and many more great gifts! More and more men are becoming interested in taking extra care of themselves. So why not treat him to some lovely grooming products. If you do not know what to buy for a couple treat them to a child free day and send them for a spa day together! Having time out from work and a busy household can be a rarity so it would certainly be a treat for any mum and dad! 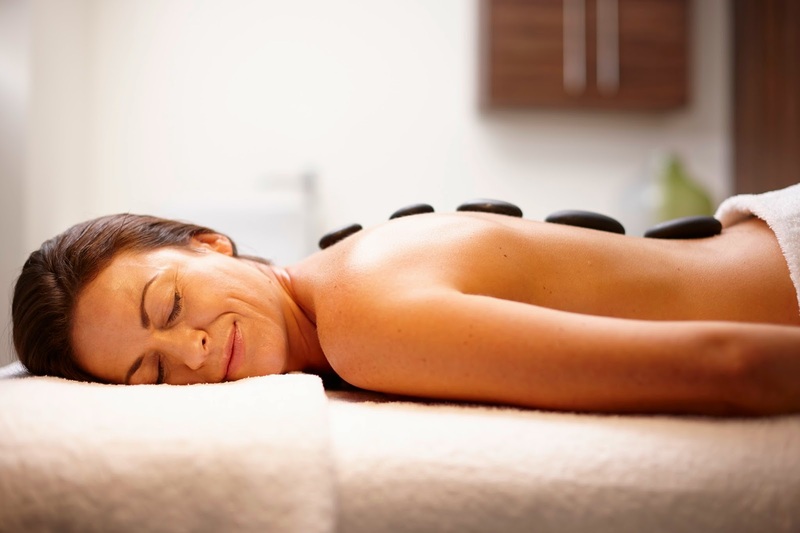 For us, a day at Center Parcs Aqua Sana would be the perfect spa gift! Not only to Crabtree and Evelyn sell divine creams and pamper items but they also sell delicious foodie treats that range from quality teas to biscuits, from preserves to confectionery. 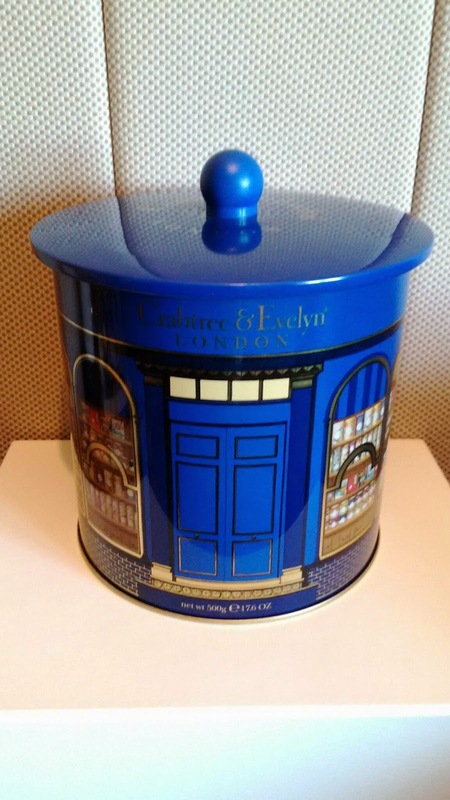 All of their foodie products are presented in beautiful Christmas themed tins and boxes. Also when you order online or buy in store they provide gorgeous gift bags! Check out their website for some fantastic foodie gifts. If you really want to splash out on a large hamper of artisan foods from some of the best companies in the country pop over to Food Discovery Box and check out their fantastic Gourmet Food Hamper. This is guaranteed to be the ultimate foodie hamper! You can read more about what I thought of the Food Discovery Box in my review. If you have been stuck for ideas for presents I hope this list has helped you a little. I love your list! Awesome selections. That Anna dressup and doll set is pretty sweet. I never heard of Elemis - sounds delightful. A spa day?! You bet that's number one on most mommy wish lists!